Infidelity can be one of the most traumatic life experiences. It’s hard to know what to do when you begin to suspect your partner of being unfaithful. Many people do nothing, hoping they are wrong, only to end up broadsided when the truth eventually comes to light. Others try to do their own detective work and inevitably fail, because experienced cheaters know exactly how to hide the evidence. This is where Kay and Associates comes in. 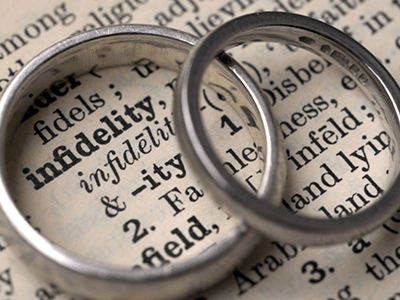 Infidelities are some of the most common cases that come across our desk. Over the past 24 years in business, we have watched cheaters’ tactics evolve with technology and the rapidly changing social landscape of the world today. What we have found is that while advances in technology have most definitely made it easier for cheaters to cheat, those same technological advances have also made them easier to catch. And we always catch them. Unfortunately, doing a good job often means bad news for my clients. We understand this, and handle each case with the utmost sensitivity and professionalism. And quite often, long term relationships end upon the finalization of our investigations. However, it is common that our clients need our help through the ordeal, in helping them with child custody, financial asset security, and a number of other services to help them get their lives back in a calm and secure order. We are there from the beginning and work with our clients to help them every step of the way. If you are concerned that your partner may be cheating and have found your way to our site, no one does it better than we do. If there is a cheater in your midst, rest assured that he or she will be caught, and you will have the solid evidence needed to file for divorce, negotiate custody of your children, and petition for what you deserve financially. Get the answers you need, professional opinions on investigations, and fascinating detective stories right here on K&A Investigations Blog.